Before I get into this beautiful, sunny potato salad, I'd like to confess something to you all: I married a picky eater. Let's backup just a bit. 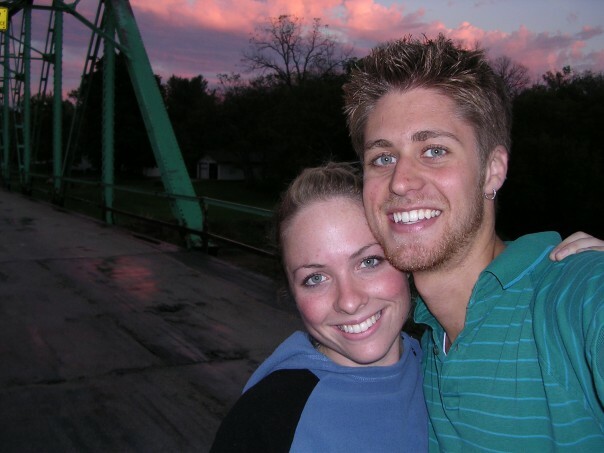 The first time Brad had ever eaten a salad was on our first date when he took me out for dinner. He didn't want me to think he was weird so he choked down every last bite of the most lackluster salad ever. When he told me how difficult that was for him, I was simultaneously stricken at the sweetness and cracking up because I, a salad-lover, was choking down every wilty iceburg bite as well. Since that date almost ten years ago, my husband has truly branched out. He actually asks for salad these days. He's a fancy cheese loving foodie, whether he wants to admit it or not. While his tastes have refined immensely, there is still one dish I cannot get him to come around to: potato salad. He won't touch the stuff. He doesn't like the heavy mayonnaise, the occasional bite of pickle, or the hint of mustard. Traditional potato salads are basically his worst nightmare when it comes to flavor and texture. So, like a good wifey, I've worked diligently to come up with a recipe that he might not despise. Truthfully, he hasn't been around to taste this one yet (and I may have eaten most of it myself) but I'm feeling good about my chances at a win. 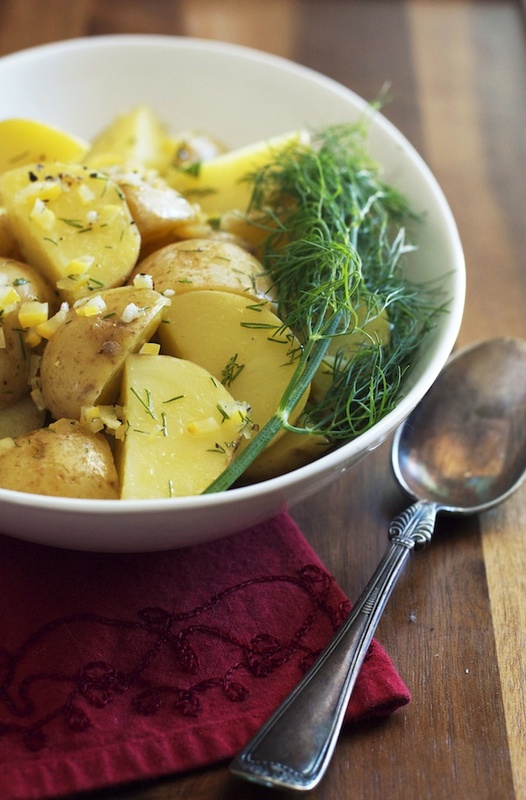 I used mini Yukon Gold potatoes for their creamy, buttery, but firm texture and dressed them with a bright vinaigrette featuring preserved lemons and dill. This potato salad is pretty bare bones. No celery, onions, hard boiled eggs, or pickles in sight. The good news is that this recipe is a blank canvas of sorts. You can add your favorite potato salad add-ins and it will be lovely. The next time I make this I'm definitely going to add some thinly sliced celery for crunch, but other than that I love the simplicity of it all. Combine all the vinaigrette ingredients in a jar, cover with a tight fitting lid and shake vigorously to combine. 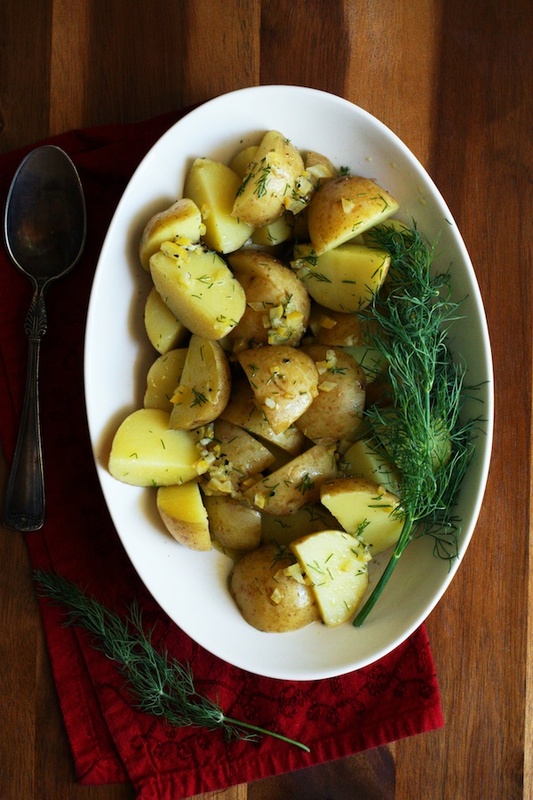 To cook the potatoes, place them in a pot and fill with cold water so it covers the potatoes by 1 inch. Bring the water to a boil, reduce the heat and simmer, add the salt, and cook until the potatoes are just fork tender. Drain the potatoes and transfer to a large bowl. Pour the vinaigrette over the potatoes and toss gently to combine. Refrigerate until thoroughly chilled, about 2 hours.